It's like cough syrupy hop goodness. 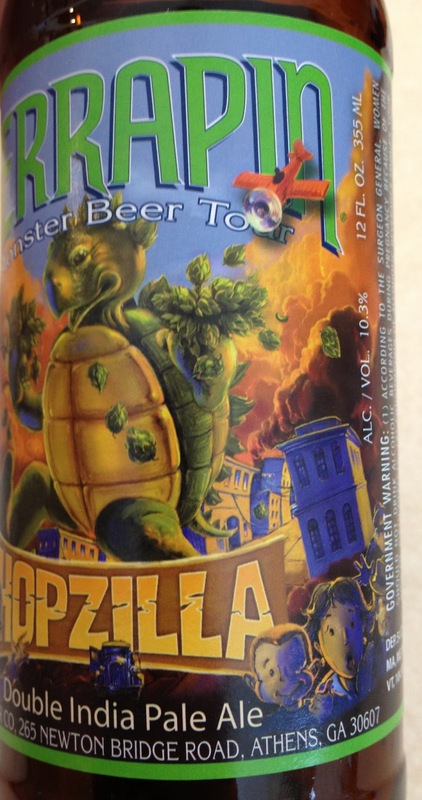 Hopzilla is a monster, thick malt flavor and tons of hops, bitter, flavor, and aroma. 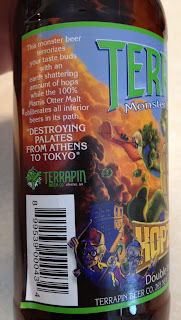 Well rounded hop extremities abound. A fairly pungent hoppy aroma is followed by smooth bitterness, then finishes with nice lingering hop hop hop. You know you are drinking an Imperial IPA. It's not overbearingly bitter and not too sweet. Has enough pop to slow you down as you drink, and it has enough going on to keep your interest. Golden, light in carbonation, nice clarity. Terrapin's Hopzilla fits well with the east coast Imperial IPA mold...well rounded hopping and not just a bitter hop bomb. Living up to the namesake, and forgive me for yet another analogy, It's a rugby player to the football star of the 90 Minute IPA for sure. 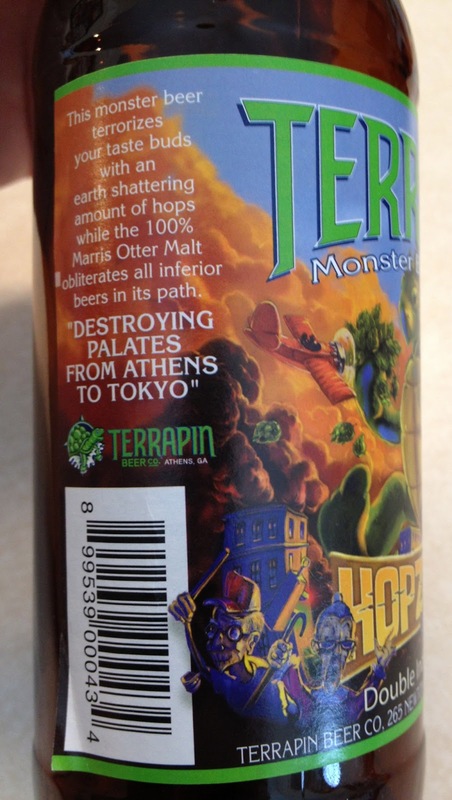 And all the while I find myself singing, "Oh, no, they say he's got to go go go Hopzilla!" After a few, I'd be singing very loud. So I'll keep it to one for now.